Once in a rare while, I will turn my blog over to someone who had a dream that was so powerful that they were able to break the chains and transcend where they were before psychologically and emotionally. Joan Almond is a client of mine. She is a writer based in Ontario and her subconscious has a LOT to say to her. And boy has she been paying attention! Below is an article she wrote about her dream, working with me on understanding it and an amazing cream cheese recipe that came from it! I use Philadelphia Cream Cheese most often as the best part of my Grandmother’s Carrot Cake. Other times , it is the ingredient that holds the savoury flavours together in Marlene’s Pineapple Cheese Ball. At Christmas, it is the ‘Creamy Addition’ to My Sister’s ‘Make Ahead Mashed Potatoes.’ By New Year’s Eve , it compliments a Gourmet Brand of Red Pepper Jelly served with Crackers. But never do I recall having a dream about the famous Cream Cheese. For some time , I have known that dreams can be a powerful tool . As the first weekend in June was about to begin, I had a dream. This as I’ve mentioned was not unusual. In the dream , I was a Nanny for a couple in a wealthy neighbourhood. They had a lot of books in their personal library for the children . The husband was not happy with how the books were arranged on the shelf. Many of them were falling off. As the dream progressed another Nanny told the couple she worked for that she was going to the horse races. ‘She was off to the races’ if you like. The husband of the couple I worked for remained disgruntled throughout the dream. Dream Expert Lauri Loewenberg and I discussed the dream in a scheduled phone appointment. We talked over what was currently on the front burner of my life. From there we dialogued about the prominent symbols of the dream and what they might mean to me personally. Without a lot of details of that conversation, Lauri helped me to see that the Philadelphia Cream Cheese in my dream symbolized my ability to “hold it all together” during a particularly difficult time, just as I use cream cheese to “hold together” the ingredients in many of my recipes. She then gave me some practical homework. Like all ‘night tales’ it had symbolic meaning to my own life and the language of dreams. Our meeting and open discussion revealed the best action for me to move forward. First we decided I would take a weekend break from social media. It was the male part of me , that was unhappy with myself for becoming too involved in the lives of others. This can happen to any of us who must use social media in our professional pursuits. It was time to refocus on my own life. Then I’d be “off to the races.” Laurie also suggested coming up with a Recipe using Philadelphia Cream Cheese as my dream said I would do. This was not a huge stretch. I love to cook and create. On my blog, I often share sweet recipes with no refined sugar. There I talk about my writing journey; life, photography and creating in the kitchen. What my dream suggested sounded like fun! After the call , I decided to begin the weekend early, giving myself more time to finish two books. By Friday afternoon , I began to feel empowered and undistracted. I read almost 600 pages , finishing two books by Sunday, reviewing both for the authors on social media and Amazon. But perhaps the best part was creating a Recipe using Philadelphia Cream Cheese. It felt like an adventure that began in a dream of all places. I happened to have an unopened package of the Cheese in the refrigerator. My imagination stirred. A Salad Dressing using Philadelphia Cream Cheese had me excited! Wanting to stay focused as well on my reading , (not extra prep) , I bought two Gourmet Salads. I asked that they give me the basics; intending to add a couple of my favourite ‘salad fixings’ at home. Then I set to work creating JM’s Creamy Dreamy Dressing. I began with the first two steps of a homemade dressing in my Mom’s Collection. Since her passing these original family Recipes are dear to me. This Recipe on its own was already tried and true. I was confident that adding my personal touch to the Dressing would bring success! Into a Double Boiler I put; dry mustard, flour , kosher salt, freshly ground pepper, and egg yolks. Instead of using milk as Mom’s Recipe called for, I used Philadelphia Cream Cheese. To add natural flavour , and to create the right consistency , I then added the juice of one lemon. I let the mixture cook until smooth, stirring constantly. Following my intuition , I took it off the stove. Going back to Mom’s Recipe , I added crushed garlic, tabasco, worscheshire sauce, and red wine vinegar. Turning to my blender , I added more of my own touches; avacado oil, roasted almonds I’d been soaking ,chopped green onions, and some sliced Jalapeños along with a small amount of Cooking Sherry. Listening to my dream turned out to be a good idea. The salads were delicious! The Dressing , full of Natural Creamy Pizzaz.’ It felt great to be living my own life! Saturday arrived. I briefly checked in on Social Media . I observed certain aspects having less pull. The phone rang. I didn’t pick it up. Philadelphia came up on the call display. No kidding! A tele-marketer no doubt. As you might imagine the call turned my head. I returned to my device- free weekend. Somehow I felt encouragement was on the way in the form of another dream. I prepared myself in my usual manner ; with gratitude. On Monday Morning I set up another appointment with Lauri. We discussed the dream. We both knew ‘CanMation’ was powerful! Like an inventor creates something in his Imagination it remains there until he knows he can bring it into real time and space. It’s no different with a Recipe , or a Great Idea, or a Dream! Thanks for allowing me to share my Dream, my Recipe, and my Story. 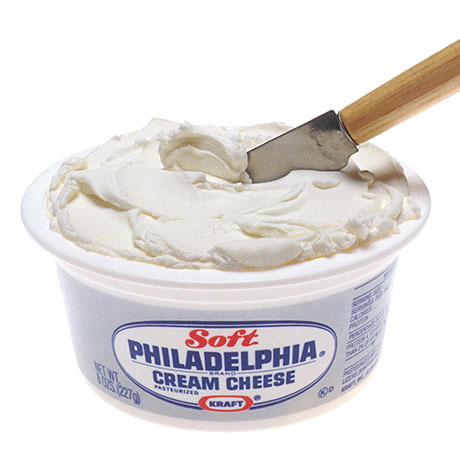 Thank You Phillidelphia Cream Cheese for your amazing Creamy Dreamy Cheese!